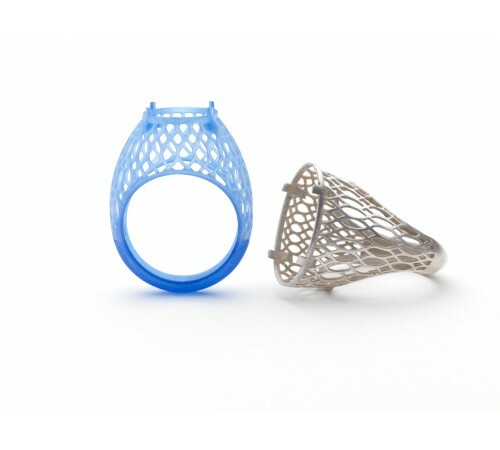 S40L Rapid Shape Common Process for 3D Printing The S40 printer combines precision and flexibility for jewelry design and production. You go directly from 3D CAD drawing to prototype manufacturing.Highly efficient generative 3D Rapid Prototyping & Manufacturing with ultra-fine resolution. Ideally to manufacture resin prototypes of filigree & massive jewelry with top demands on surface quality. Rapidshape S40 comes with two HD projectors to increase output by factor 2 at same precision and speed. Made to manufacture 3D models for jewelers, labs and design studios.Features: Building frame 2 × 83 × 46 mm Max. part height 80 mm Typical build time* 2 h – 2,5 h Light source LED technology Resolution 2 × 1920 × 1080 px Electrical supply 110 – 250 V Size (W×H×D) 372 × 677 × 371 mm Weight approx. 24 kg Connections USB, Ethernet Control Touch Display .. The S40 printer combines precision and flexibility for jewelry design and production. You go directly from 3D CAD drawing to prototype manufacturing. Highly efficient generative 3D Rapid Prototyping & Manufacturing with ultra-fine resolution. Ideally to manufacture resin prototypes of filigree & massive jewelry with top demands on surface quality. 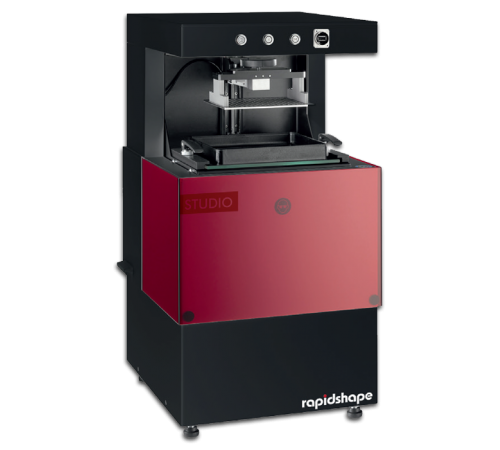 Rapidshape S40 comes with two HD projectors to increase output by factor 2 at same precision and speed. Made to manufacture 3D models for jewelers, labs and design studios.